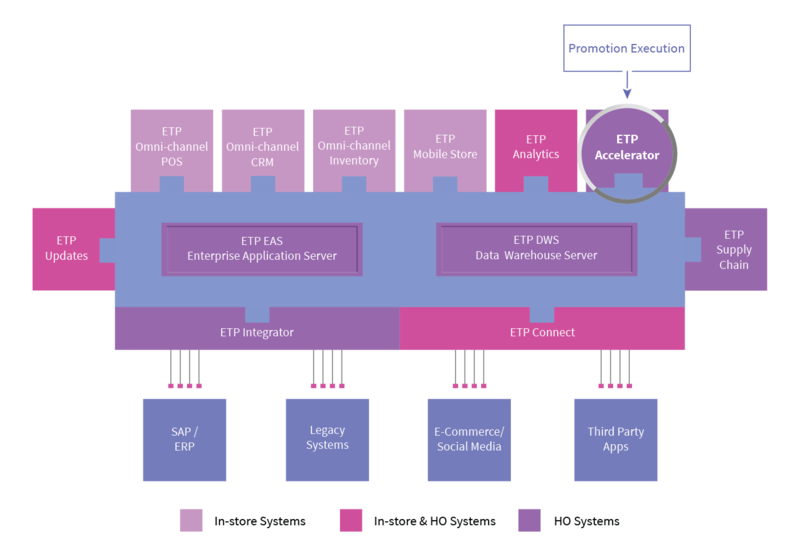 Promotions created in ETP Accelerator can be deployed across various channels quickly and seamlessly. This is due to the unique design of ETP Accelerator, which is a tool that can be used by merchandisers and the retail marketing team to visualize the promotions with a combination of dimensions like merchandise, time, location, channel and customer segments. At just a click of the button, the promotions get enabled immediately at all desired locations and channels. A set of business rules monitor the performance of the promotion and measure it against a set of goals, giving you a feedback of how your promotion is performing against your target. This drives the discipline in your business as well as delights customers with a unified brand experience that encourages loyalty.